This week we started Tinker Time. Tinker Time is when we are given opportunities to explore, problem solve and develop a growth mindset. We had the Brain Box Circuits kit this week. 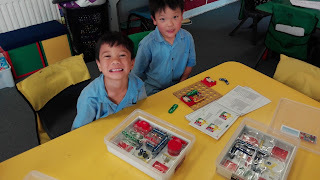 We enjoyed exploring and solving the problem of connecting the pieces correctly so that the buzzer was set off or the spinner began to move. We can't wait to use the OSMO kits next week to solve more new and exciting problems. Tinker time sounds really cool. 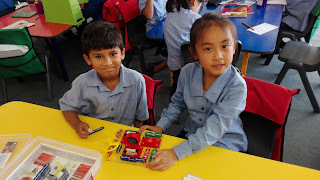 How great are the brain boxes, love that you are learning to explore, problem solve and develop a growth mindset while having fun creating super cool gadgets. Awesome work room 13, can't wait to see what you do and the problems you solve with the OSMO kits next week. Wow I wish they had kits like that when I was at school. So much exciting learning going on!